Niclas is a safety consultant and boat enthusiast. 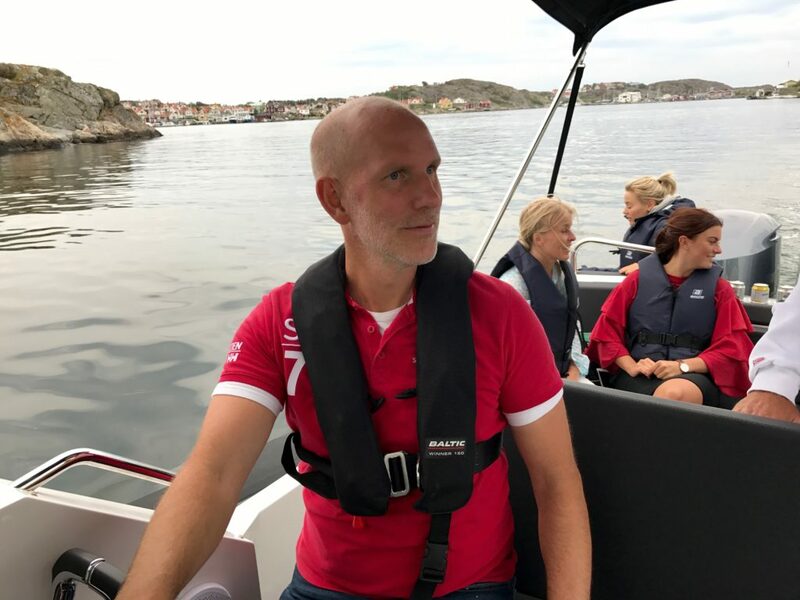 The Agapi 950 appealed to the entrepreneur in Niclas, who saw a gap in the charter market, and a great opportunity to be on a boat during working hours. Born and raised in Gothenburg, Niclas has always taken a big interest in boats and sea life. He’s lived most of his life near the water and the summers of his childhood were often enjoyed with lots of fishing and swimming. As far back as he can remember he’s been fascinated by all kinds of boats, particularly racing boats. It was like a vintage car from the US, but in boat form! He now owns a small centre console boat on an island in the northern Bohuslän area of Koster. This place has a special attachment to Niclas because his family are from here. But because he’s a Gothenburger, he loves the whole archipelago. His personal favourite is Marstrand, the classic destination for boat lovers. ‘Martstrand really does have it all – good food, cool bars and quaint streets. In the summer it’s buzzing with life in the harbour’ he says. Diving is another big hobby for Niclas and only the north Bohuslän beside the Koster sea will do. It has incredibly clear water, rich with marine life. Many different fishes, lobsters and other interesting inhabitants of the sea are at home here in an excitingly formed underwater landscape. ‘If you’re keen on diving, please ask me!’ he adds.